The NSPA is proud to endorse Jeb Bush for the 2016 presidential election. Jeb was the first governor to sign a Stand Your Ground law into legislation. This brave act represented the watershed moment in the civil rights movement for small-penised WHITE guys throughout America. With the stroke of a pen, Governor Bush empowered small-penised white guys to heedlessly initiate completely unwarranted confrontations with defenseless, unarmed young black men to show them who is boss. 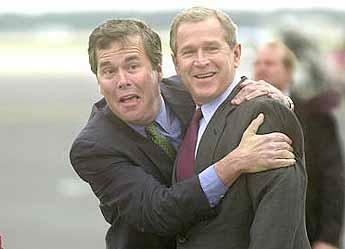 Jeb, we’ve got your back because you had our little peckers. Watch this site for further news as we organize a grass roots movement to stand behind Jeb and give him that big push to the White House. We must never let voters forget the role Jeb Bush played in allowing us to stand our ground.